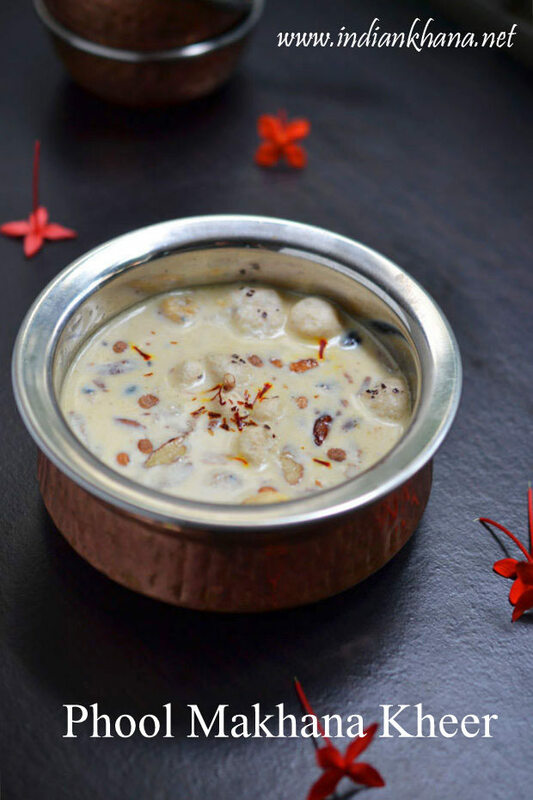 Makhane Ki Kheer or Falahari Phool Makhana Kheer is easy, delicious kheer recipe suitable for fasting or navratri vrat or any upvaas for that matter. 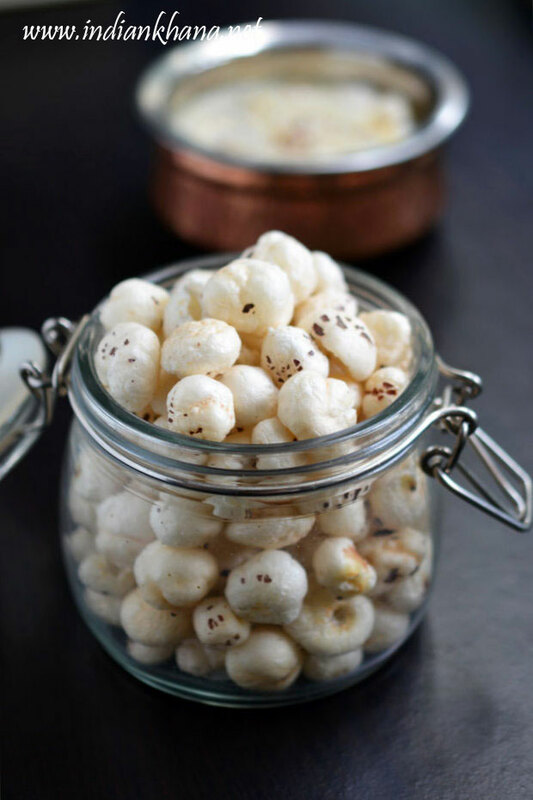 One of the most famous recipe of phool makhana (foxnut or puffed lotus seed) is this kheer which is quite easy to cook and taste yum whether it's served hot, warm or cold just like any more kheer. 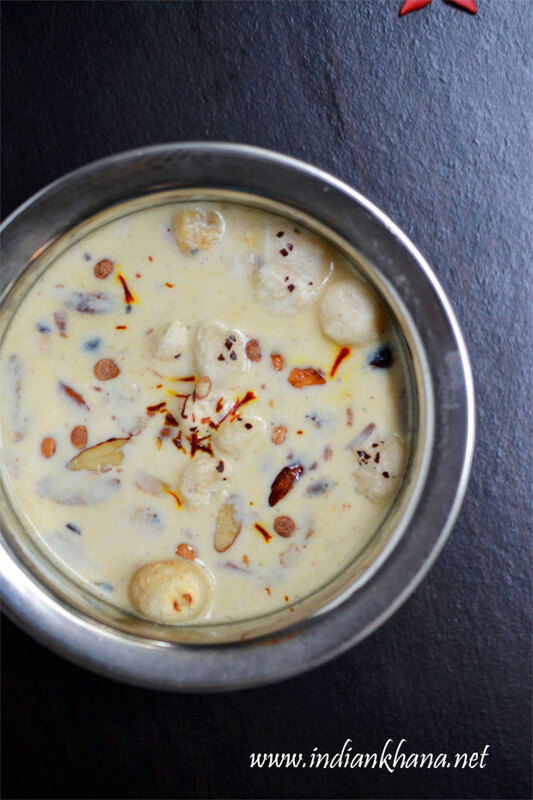 If you look for something very easy, quick and healthy then this makhana kheer is perfect wheather you make this for fasting/vrat, Naivedyam for just like that it's wonderful. You if want to make this kheer more creamy and rich then add little of condense milk and adjust sugar quantity accordingly, I didn't add condense milk this time I didn't wanted too but the choice is yours, if you make this dessert for guest then make it rich and creamy is good idea. This makhana kheer preparation is quite quick so if you are making lot of items or even for fasting thali this is good option to choose. 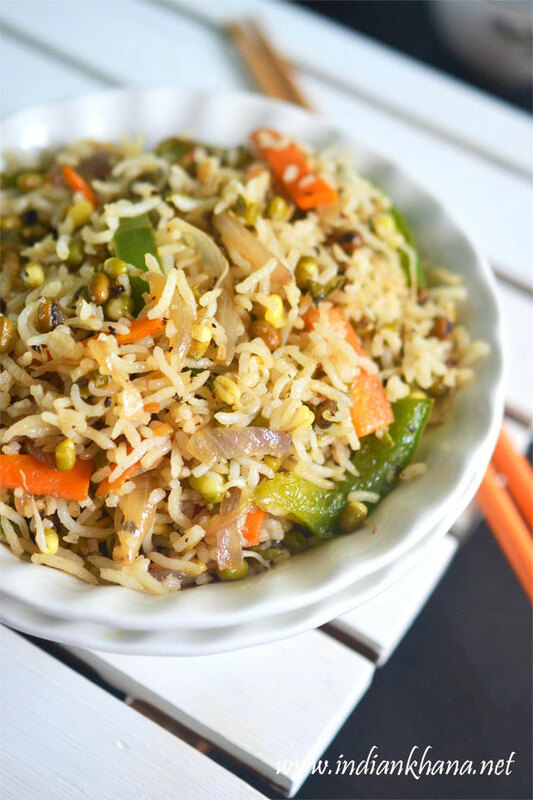 Check more Navaratri fasting recipes here. If you haven't try phool makhane ki kheer then go ahead and try it. 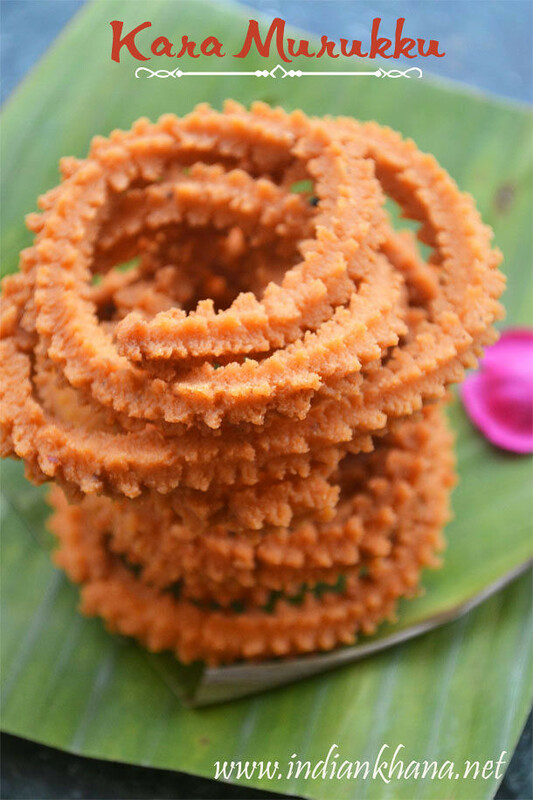 Specially for Navratri upvaas it's good and handy. 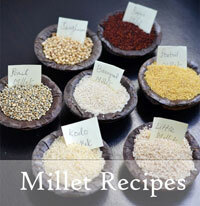 Read the notes to know few options you can do with this kheer. Do try and let me know how did you liked it. 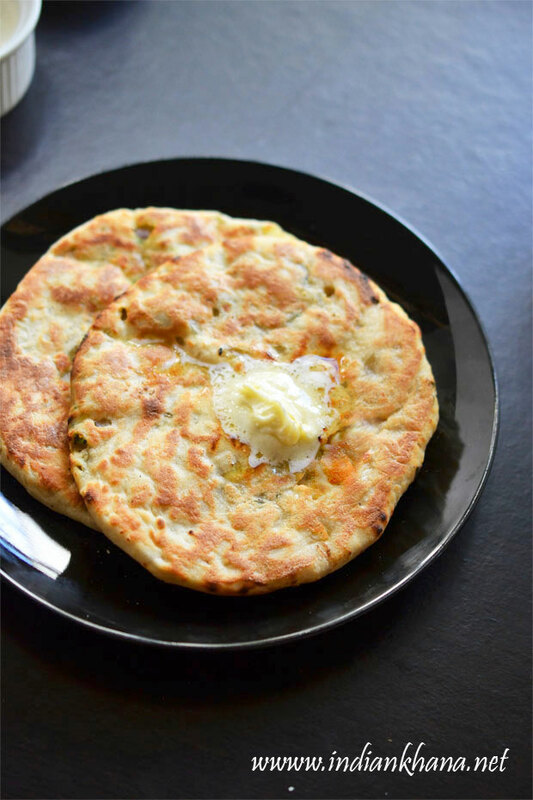 You can also check Roasted Makhana Recipe here. 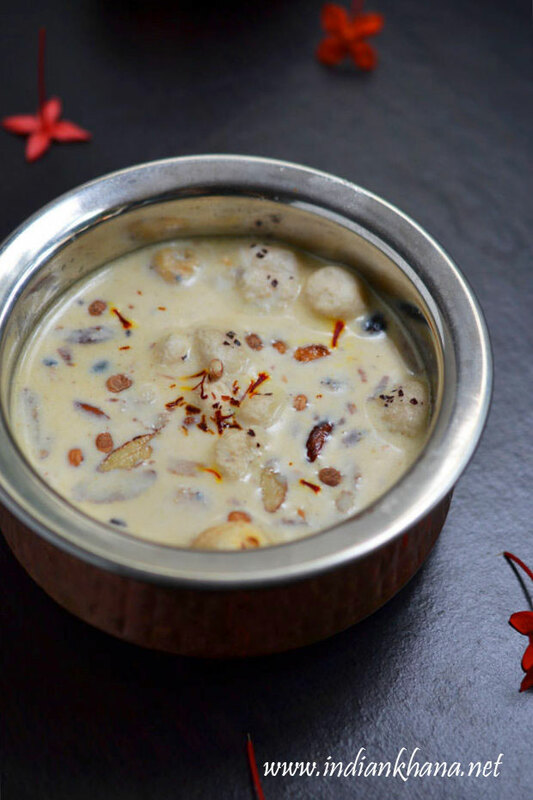 Makhana Kheer or lotus seed kheer is easy dessert for navratri fasting or vrat. 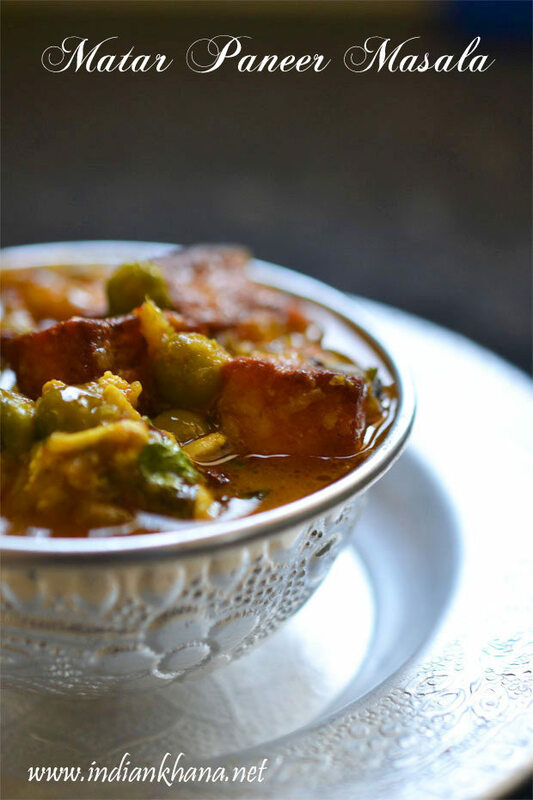 Cut 1/2 cup phool makhana in to halves and keep remaining 1/2 cup makhana as whole, or you can grind 1/2 cup makhana and keep remaining whole (this is optional to do). 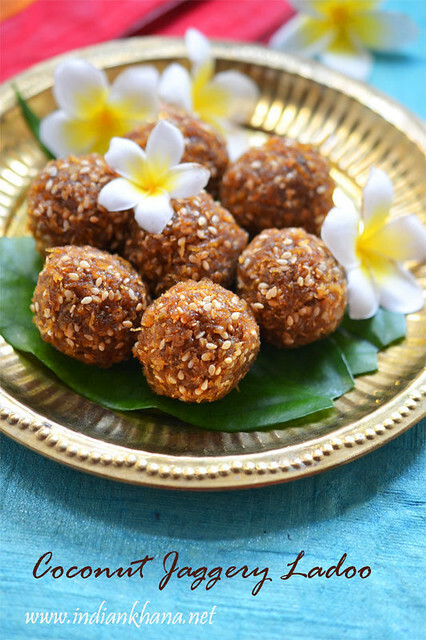 Heat ghee in pan or kadai (wok) and roast almonds, cashew-nuts until light brown, add raisins and fry until they bubble up, drain from ghee and keep aside. Now add makhana and roast with continuous stirring until they becomes light brown and crisp, remove from kadai and keep aside. Add milk to pan and bring it to boil (you can do this in separate pan too), and simmer until it starts to reduce. Add fried makhana and simmer in low flame for 5-7 mins with regular stirring, kheer will be getting thick now. Add sugar and cook for a minute. 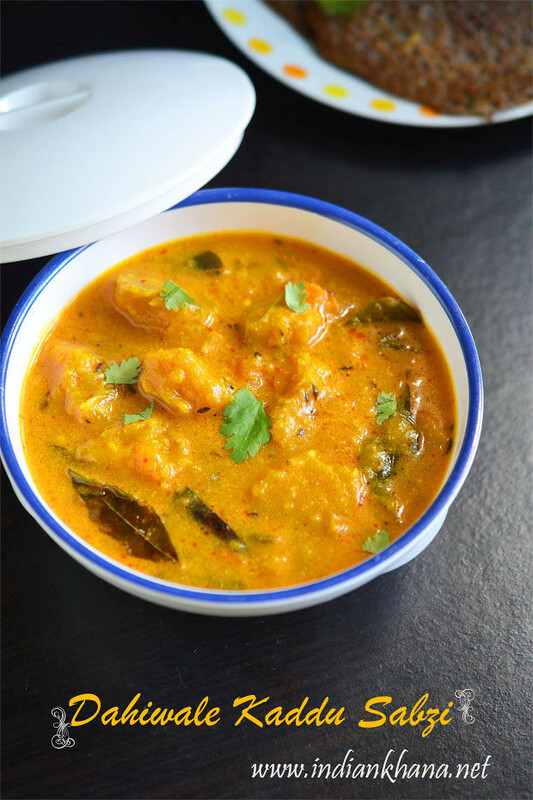 Add cardamom powder, saffron, half of fried dry fruits and mix well, simmer for a minute on low heat and off flame. Cover and keep kheer for 5 minutes before serving. 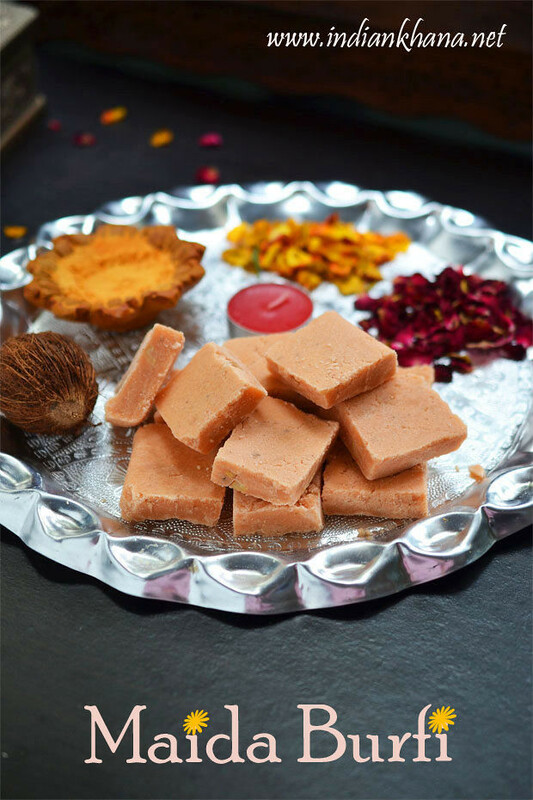 Serve hot or warm or cold with garnish of remaining dry fruits. If you want you can add 2-3 tbsp of condense milk to thicken kheer more adjust sugar accordingly. 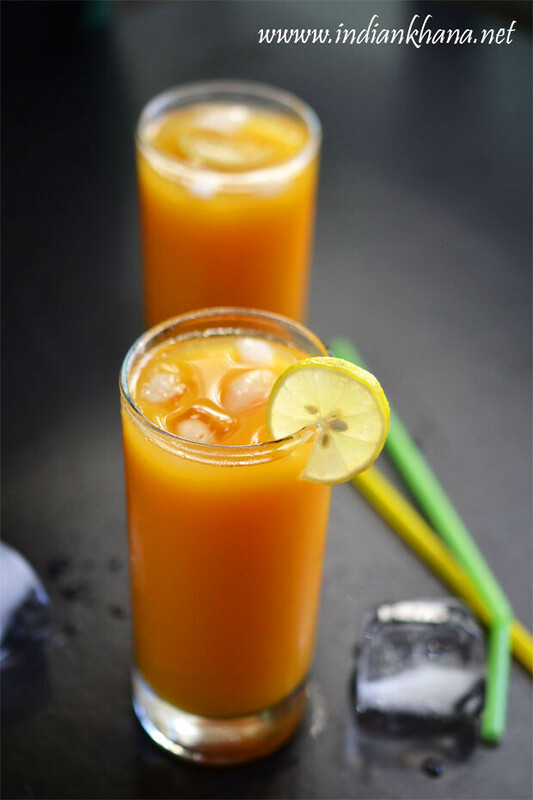 Add sugar to taste, if you want more sweet then add more sugar. 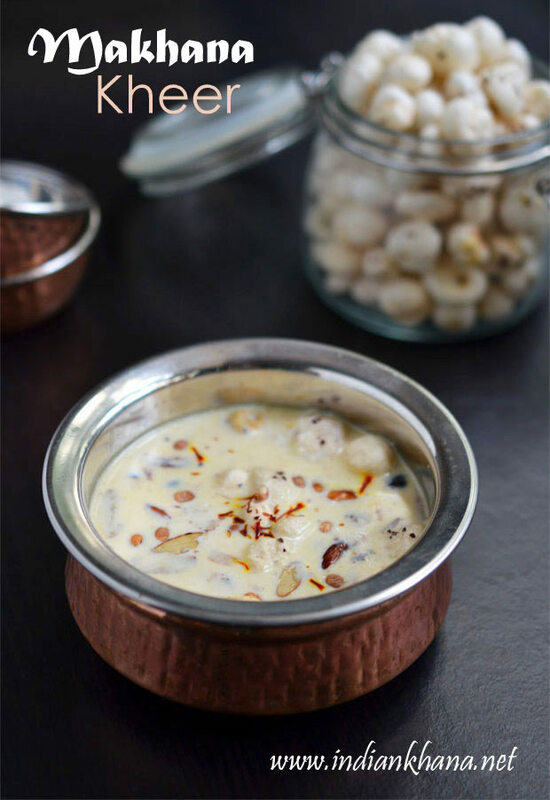 Delicious, easy Phool Makhana Kheer.